Back-Load TDS or Tax Deducted at Source is smart saving tip which can increase your net take home salary by 8%-10%. TDS (Tax Deducted at Source) is monthly affair for salaried class. TDS has to be mandatorily deducted every month by the organization from salary. Organizations deposit the TDS with Govt. Treasury against the PAN of employee. Every year at the beginning of Financial Year (FY), Organizations allow employees to declare investments and also select salary structure after appraisal process is completed. Depending on investment declaration and salary structure, the organization calculate total income tax liability of employee for current FY. Total income tax liability is than divided into 12 equal installments for monthly deduction. In short, TDS is deducted every month in 12 equal installments. For Bonus, PLI, Variable Payout and Arrears the TDS is deducted on amount paid in same month. Now you must be wondering, how can we save from TDS (Tax Deducted at Source). Answer is very simple, By back-loading TDS we can save good amount of money. Back-Load TDS means to load TDS towards the end of a period / FY. Rather than paying total income tax / TDS in 12 equal installments, we can pay less TDS for 1st 10 months of Financial year in equal installment. Pay the rest, which is major TDS component towards the end of FY. The objective is to declare high investment amount under Investment declaration initially even though we don’t intend to make such investments. In the month of January, the organization will ask employees to submit proof against investment declaration for FY. At this stage we can declare actual amount invested and submit proofs. The end result, organization will re-calculate the Income Tax Liability based on actual proofs submitted & balance Income Tax (TDS) will deducted with Feb and Mar salary. If you are in highest income tax slab i.e. 30% than try to bring down your taxable income to 20% slab which will have major impact on TDS. The beauty of TDS is that there is no penalty, if you back-load. Only objective of Income Tax department is that you should pay 100% Income tax payable during FY before 31st Mar. Only catch is that LESS TDS paid initially should not be misunderstood as saving/earning. You need to pay balance/differential amount during Feb or Mar. This amount should be not spent but you should open a RD (Recurring Deposit) else it will be huge financial burden to pay TDS in Feb or Mar. Your savings/earning will be interest earned on Recurring Deposit (RD). The timing of RD should be such that it should mature on or before due date of balance Income Tax (TDS) payment. In layman terms, through this exercise you are simply deferring the income tax payment and earning the interest on deferred amount which is your saving. Let’s under stand the same with very simple example. Assuming Person A has taxable income of Rs 11 Lacs. 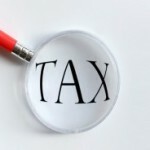 Income Tax Liability of Person A is Rs 1.65 Lacs. Now in this case, organization will deduct Income Tax of Rs 13733 as TDS. At the beginning of Financial year, Person A declare following additional investments just to lower TDS liability at beginning. The components shown are only for reference, you may select the components which are not part of actual investment. Please ensure that TDS should not be zero while doing this exercise. Repayment of Education Loan u/s 80E is safest bet as there is no upper limit for grant of deduction on loan interest for higher education. Additional Medical Insurance u/s 80D: Rs 20000 (Maximum limit is Rs 35000, Assuming you have personal medical insurance with annual premium of Rs 15000). Total declaration will be Rs 35000. Now you have declared/claimed additional deduction of Rs 675000. Your taxable income will reduce to Rs 4.25 Lac. This move will also shift you from highest income tax bracket to lower tax bracket. In this scenario per month TDS in salary will be Rs 1759. In short, instead of Rs 13733 TDS deducted per month will be Rs 1759 therefore you have investible surplus of Rs 11974 per month. You can start Recurring Deposit @ current ROI 8.75% for 12 Months. You will get Rs 150959 at maturity. From this amount, you can pay TDS of Rs 143688 at the end of FY. Balance Rs 7595 is the reward for your Smart Saving Strategy. Rs 7595 will be approx 8%-10% of your net take home salary depending on salary structure, which is sort of Bonus or Icing on the cake. In other words, effectively your Net Take Home Salary is increased by 8%-10% without much efforts.